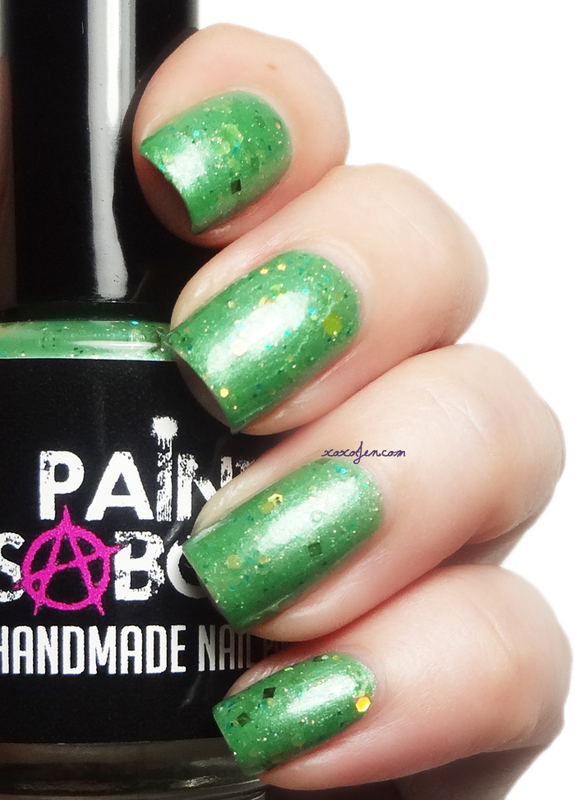 Moon Jelly from Painted Sabotage is a bright grassy shade packed with shimmer and glitter. I wore two coats for opacity and topcoat for a glossy finish. This and many other pretty polishes available at the Painted Sabotage shop. What is your favorite Painted Sabotage polish?